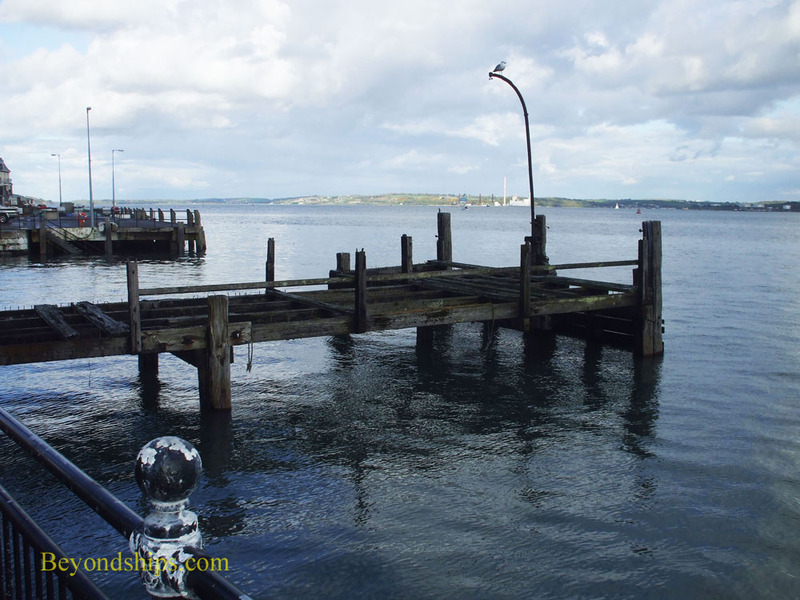 Cobh, then called Queenstown, has connections to two of the most famous maritime disasters of the 20th century - - the sinking of the Titanic and the sinking of the Lusitania. What makes Cobh, particularly interesting to visit is that it has changed very little since then. As a result, the town looks much like it did when those tragedies occurred. On 10 April 1912, the White Star Liner Titanic set off on her maiden voyage from Southampton, England. 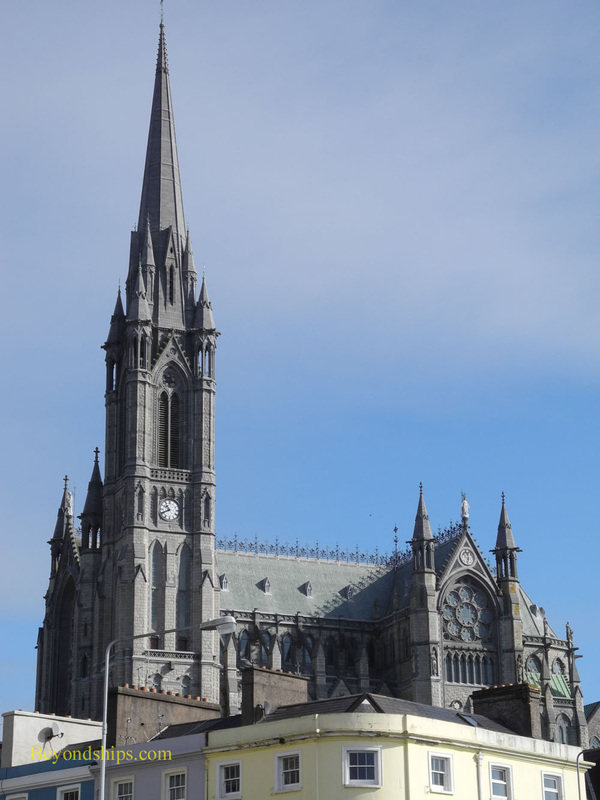 She first sailed to Cherbourg in France and then after turning westward, stopped in Cobh. As it turned out, Cobh was the last port of call for the Titanic. Titanic arrived in Cobh at approximately 11:30 a.m. on 11 April 1912. She did not dock but rather anchored in the harbor. Two tenders, PS America and PS Ireland, ferried mail and passengers between the ship and shore. Seven passengers departed Titanic. 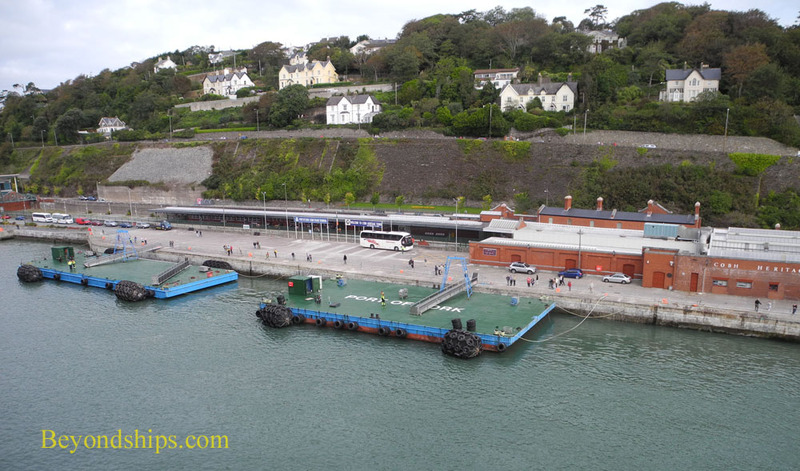 In addition, legend has it that a crew member who lived in Cobh, jumped ship by hiding himself under the mail bags that were being taken ashore. 123 passengers, mostly third class, boarded the ship. Only 44 of them would survive Titanic's collision with an iceberg three days later. Titanic sailed from Cobh at 1:30 that afternoon. 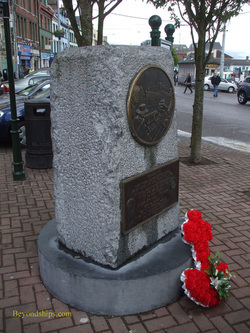 There is a small memorial to the Titanic in the center of town. However, of greater interest is the building that was formerly the White Star offices in Cobh. It is where the passengers gathered before departing on Titanic and can be seen in contemporary photographs looking much like it does today. 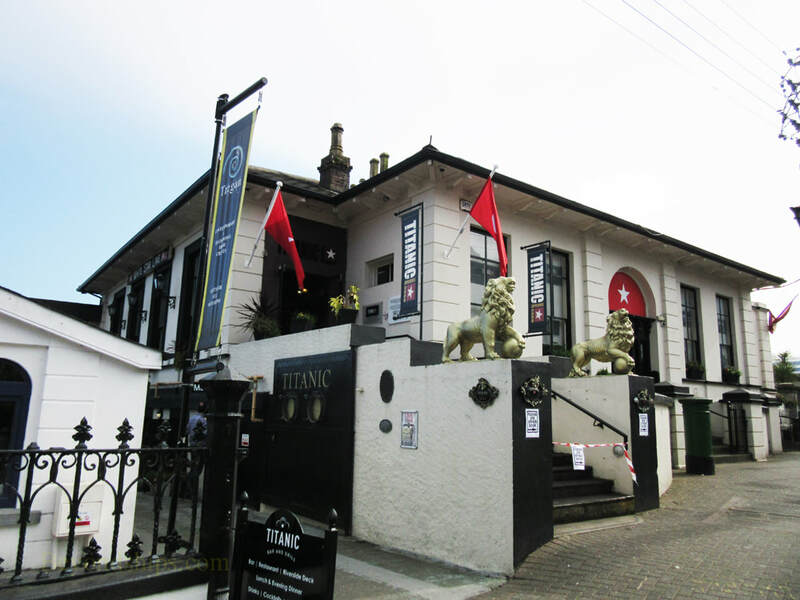 The building is now a museum dedicated to the Titanic called the Titanic Experience. Above: The Titanic Memorial in Cobh. Below: The old White Star office is now the Titanic Experience. Behind the Titanic museum is an old pier now derelict where passengers boarded the tenders to take them to the ships (below). Contemporary photos also show tenders landing supplies by the railroad station, which is where cruise ships dock today (below right). At the beginning of World War I, the British Admiralty had requisitioned Lusitania to use as a merchant cruiser. However, the Royal Navy found her unsuited to this task and returned her to Cunard. On 1 May 1915, Lusitania began her final voyage. Like most other merchant ships of that day, she was carrying some war materiel as cargo. However, the passenger list was primarily made up of civilians including many women and children. The Germans had threatened to sink Lusitania as part of their policy of unrestricted submarine warfare. However, the threat was not taken seriously because sinking such a famous liner was unthinkable. Furthermore, she was faster than any submarine then in service and so would be able to run from any threat. Moreover, under international law at the time, submarines were required to surface and allow passengers and crew to disembark before sinking a merchant ship even if it was carrying contraband cargo. On the afternoon of 7 May, U-20 was near the end of a patrol around the British Isles. She had one torpedo available and was cruising off the Old Head of Kinsale on the south coast of Ireland, which was then a British possession. Raising the periscope, the captain saw a large liner steaming towards the submarine. After some debate, the order was given to fire the torpedo. The torpedo hit the Lusitania and she sank in 18 minutes. 1,198 people died. However, 762 people were rescued by a fleet of fishing boats, tenders and small British naval vessels from Cobh. The survivors were taken to Cobh as were the bodies of the victims that were found by the rescue fleet. Food, shelter and medical attention was given to the survivors in Cobh. Several temporary morgues were also established. A memorial service was held in the Cathedral on 10 May 1912. About 100 of the victims are buried in the Old Church Cemetery. The Lusitania Peace Memorial stands in Casement Square in the center of Cobh. The sculptures on the memorial are by Jerome Connor.